Highland Park was incorporated in 1915 after Dallas chose not to annex it. Dallas later attempted to annex Highland Park, but the Town had already formed its own government and infrastructure. 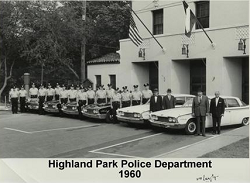 Browse through various photos of the Highland Park Department of Public Safety throughout the years.